Like everyone else, I'm feeling the push to clean, organize and reassess my life for the new year. While last year also started off with that energy, by the end I felt I was crawling along and accomplishing little. So when I began to list the highlights of last year, I suddenly felt a little more energetic. 120 blog posts. Even with my quietness toward the end of the year, that's more than two per week on average. Bead & Button Magazine interviewed me for a three-page artist profile. PMC Guild Annual #5 included four images of my finest work of the year. Bead Design Studios included my blog banner in a bead business marketing article. The Art and Design of Metal Clay Jewelry 2012 Calendar included one of my pieces for October. Metal Clay Artist Magazine published one of my enamel pieces in their Gallery section. Free as a Bird, my print-on-demand book from Blurb, reproduced my multi-media bird journal. Lone Stars III: Texas Quilts Today included two of my quilts in their compendium. I finished my last Master Muse stint with a tutorial for syringe cloisonné earrings. 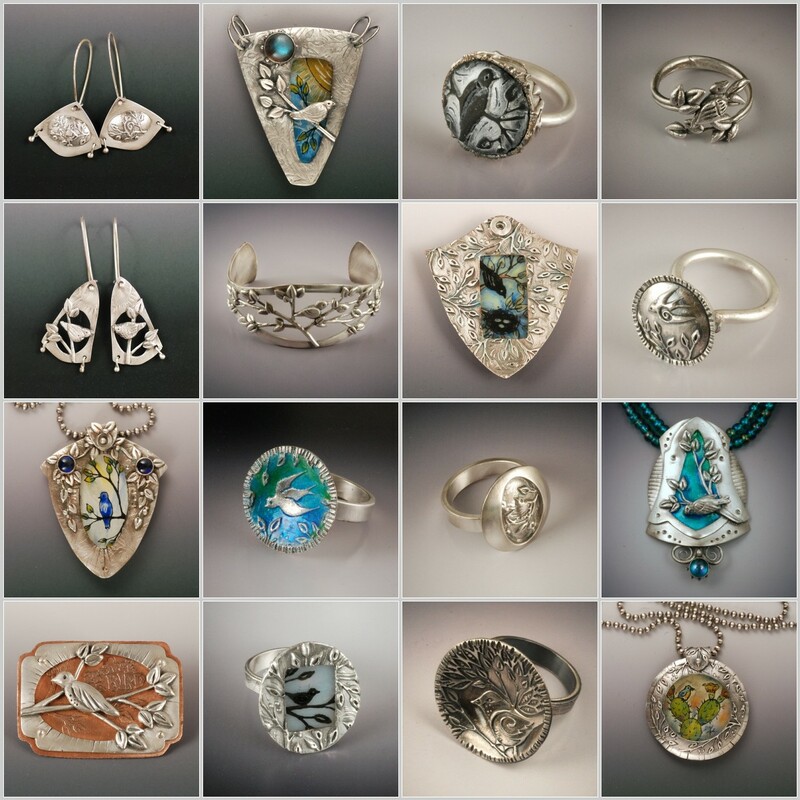 Glass: Surface at the Bead & Button Show and at the ISGB Gathering; Small Treasures I online at Crafthaus. 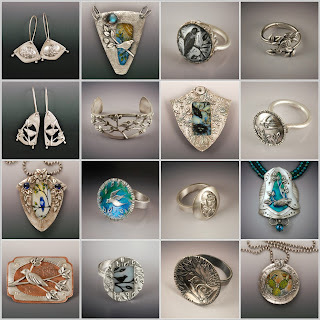 Metal: New Directions: Powder Metallurgy (Metal Clay) in a Sheet Metal World on Crafthaus and at the Metal Clay World Conference; Small Treasures I online at Crafthaus. Fiber: It Takes a Village to Raise an Artist at the International Quilt Festival included my quilted bird house. Two of my quilts were included in Lone Stars III at IQF and at the Texas Quilt Museum. I like this list. I should do one myself. I don't think I accomplished anything last year.